FREQUENTLY ASKED QUESTIONS - Cheryl's Distinctive Creations, Inc.
Are you available for my wedding or event? 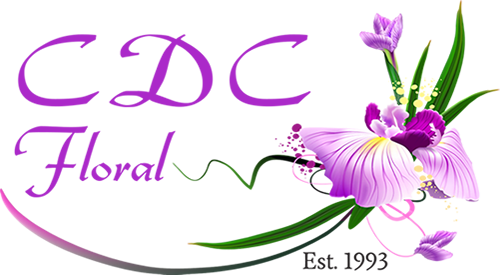 The best way to request on our availability is to email us directly at flowers@cdcfloral.com or via our contact form HERE. Please be sure to include the event date and venue in your email subject line. In the body of the email, please include an estimated guest count and a basic description of your event (wedding, corporate event, birthday party, grand opening, baby shower, etc). All of this information is necessary for us to determine the availability for us to service your event. How do I set up a wedding/event consultation? Consultations are by appointment only. All in-person consultations take place in our studio (3400 Silver Star Road Suite A Orlando, FL 32808). Please email us in advance with the details of your wedding (see above) so that we can confirm availability prior to setting up a meeting. While in-person consultations are preferred, phone consultations and Skype/screenshare with a member of the team are also an option for out of town clients. Not at this time, consultations are by appointment only. Both in person and via conference call or online meeting. When should I begin the process of securing flowers for my wedding? We recommend contacting us anywhere from 9-12 months prior to your wedding or event date. To start the process, let us know your confirmed event date, secured venue and approximate guest count. While there is no time limit to how late you can reach out about booking our services, please bear in mind that our availability is on a first come, first serve basis. When should I begin the process of securing flowers for my special event? We recommend contacting us 1-6 months prior to your event date for all social and or corporate events. If your timeline is shorter than expected, we are more than happy to discuss last-minute events. Keep in mind that our availability is first come, first serve and will depend on the size of the event and type of items needed. We provide all clients with a customized proposal that will outline our floral costs as well as a delivery/installation/breakdown fee. This cost is based on a number of variables, including number/type of items, delivery location, number of team members needed on site, etc. Are there any example pictures of arrangements I can review online? All available example pictures are available here on our website on the galleries located under our service pages as well as on our Instagram! How will I know what my wedding flowers will look like? After we meet, discuss your wedding/event vision, we will send you a custom proposal. Once you book our services, we offer a free sample appointment so that you can see in person your dining table centerpiece.